NASHVILLE — Infiniti has killed its QX70 midsize crossover, effective immediately, as it prepares to shift more attention to other crossovers. “Infiniti is preparing for new and updated crossovers and sport utility vehicles, including the all-new QX50,” Infiniti Canada spokeswoman Jennifer McCarthy said in an email to Automotive News Canada. Dealers in the United States have been notified that the nameplate will not be offered in the 2018 model year, a spokesman there confirmed. McCarthy didn’t immediately say if Canadian dealers received the same notice. Infiniti is banking on a newer product, a redesigned QX50 compact crossover, to play a dominant role over the next two to three years. According to sources outside the company, Infiniti wants to steer marketing and customer attention to the new QX50, which it believes has the potential to become the brand's top-seller. According to the sources, Infiniti is plotting a comeback for the V-6 powered five-seater with a distinctive rear-sloping back end. A replacement crossover will arrive in 2021 or 2022 based on the Nissan Murano, which is built in Canton, Miss. The QX70 was a bold design statement when it first appeared as the FX in 2003, and after its design update in 2009. But it is now wedged between crossover and SUV offerings that are being updated with a new look. 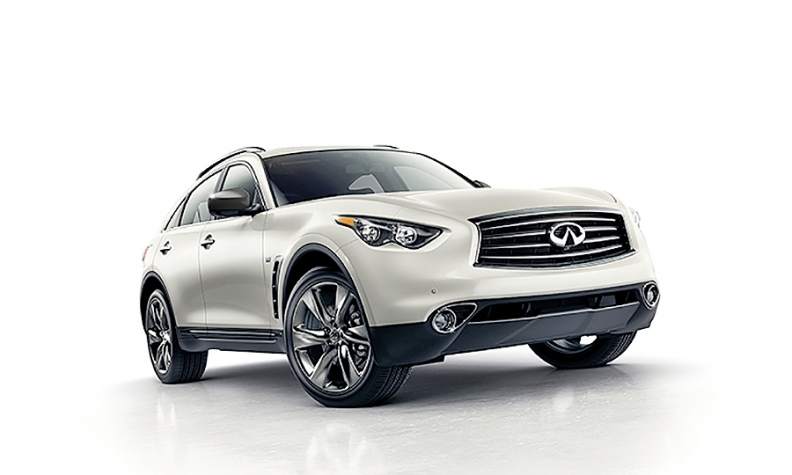 Infiniti sold just 481 of the QX70 in Canada in 2016, down from 528 in 2015. By comparison Infiniti sold 4,238 units of the far more popular QX60 in 2016, up 9.7 per cent from the 3,863 it sold in 2015. Sales of the QX50 have been flat the past two years, at about 2,300 in 2015 and 2016. Sales of the QX70 through the first six months of 2017 are also down. Infiniti had sold just 194 through June 30, down 26 per cent compared with the same time frame last year. The larger QX80 will receive a svelte new design in the next year or two. And the QX50 — which languished for years with low sales and a package too small for most shoppers — now has the company's full marketing attention. The redesigned QX50 will be on sale next year.